The Chicago Fringe Festival (CFF) is proud to announce its application dates for groups and organizations interested in participating in the 2015 Fringe Festival, September 3 – 13, 2015 in Jefferson Park. The application, available online Monday, Dec. 8 at Chicagofringe.org, may be completed with the lottery fee and submitted Saturday, Dec. 20 at 10 a.m. – Friday, Feb. 15, 2015 at 11:59 p.m. CST. There are two methods of applying to the Chicago Fringe Festival: a limited number of first come, first served slots and the lottery. For more information go to Chicagofringe.org. Interim Executive Director Anne Cauley also announces the launch of Kids Fringe, five slots reserved for performances that are for families with children 12 years old and younger. These shows launch CFF’s pilot Kids Fringe that will accompany free activities and workshops at Fringe Central, the main hangout spot during the festival. Chicago Fringe Festival, now in its sixth year, consists of 25% organizations using the first come, first served option and the remaining 75% are chosen using a lottery system. The 13 spots that make up the first come, first served are designed to reward early applicants. These spots have historically been claimed in less than two minutes. The lottery where the remaining participants are chosen will be held Saturday, Feb. 28, 2015 in Jefferson Park. A total of 50 shows will be accepted into the 2015 Chicago Fringe Festival, half local artists and half non-local artists including the five Kids Fringe performances. Chicago Fringe is uncensored and un-juried. 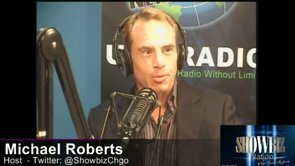 100% of ticket sales are returned to the artists. Artists pay a $25 lottery fee and then, if selected, a participation fee of $250-550 depending on the number of performances. All Fringe performers receive box office assistance, promotions through the Chicago Fringe Festival website and 100% of the box office venue for their performances. The performance piece must be 80% choreographed or scripted. No solely improvisational shows are permitted. The performance piece must be 45-60 minutes in length and be able to be set up and struck within 10 minutes. NOTE: For the first time in Chicago Fringe’s history, applicants with performances in the Chicagoland area in the previous 12 months are no longer precluded from applying for the 2015 Chicago Fringe Festival. The annual Chicago Fringe Festival, now in its sixth year, presents performances over the course of 11 days. 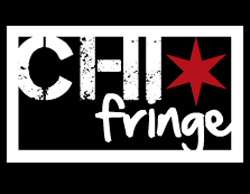 The Chicago Fringe Festival is a member of the Fringe Festival movement and is one of many festivals held throughout the world. The Chicago Fringe Festival unites daring theatergoers with emerging and boundary-pushing local, national and international performing artists while seeking to engage nontraditional audiences through a commitment to low ticket prices and outreach into artistically underserved communities.